Why Do a Corporate Driver Training Course? Employers have a legal obligation to inform and train staff in workplace hazards. If their work entails driving, a corporate driver training course ticks that box. You may be confident in your driving skills, and that of your staff, but chances are there are moments of complacency. A corporate driver training course refreshes skills and knowledge and can identify risk factors drivers are not even aware of. As an employer, you have a corporate responsibility to ensure employees are appropriately trained in all aspects of their role. If their job involves travel by vehicle, then a corporate driver training course is a must to guarantee the safety of your workforce and to protect the integrity of your fleet. As well as traffic, delays and weather, people driving in a work capacity will often have added distractions. Work tasks, deadlines and phone calls can mean they are concentrating more on their work than on their driving. Whether your organisation uses fleet cars or private vehicles, a corporate driver training course can be adapted to the needs of your people, the vehicles and the services you provide. It can be part of ongoing workplace training or a component of the induction process for a role. Professional training places emphasis on driving techniques and enhancing knowledge and driving skills. This can cover additional information or skills relevant to a particular role or workplace. It is essential for good risk management and a critical component to workplace health and safety policy. Participants find they develop skills in safe, defensive and low risk driving techniques. This makes good drivers better and mitigates risk for drivers, passengers and cargo. Aside from the corporate and legal responsibilities to be met, a corporate driver training course leads to a better, safer workplace culture on and off the road. 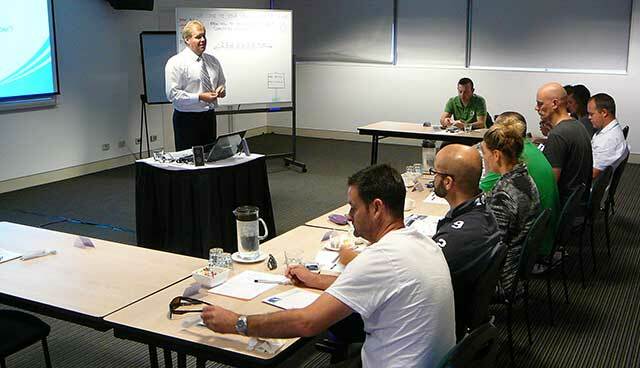 Corporate Driver Training Australia conducts regular courses around Australia and New Zealand. For more information about the types of courses we run, head over to our website, or contact us to find out more about course dates and locations.